That was Nicky Hilton Rothschild’s tweet Tuesday in response to photos of her and Tommy Hilfiger’s wife, Dee Ocleppo, showing up in the same ‘60s-style powder blue Valentino statement gown to an event at Lincoln Center earlier this week. Since her Kensington Palace wedding this summer to British banker James Rothschild, Hilton Rothschild is now shopping for a New York home — in the Greenwich Village. She and the hubby recently toured a “discounted” $22.5 million triplex penthouse at 12 E. 13th St.: the unit was asking $30.5 million when it first hit the market last year. The lofty, glass pad measures 5,704 square feet, with five bedrooms and six bathrooms — and 906 square feet of private outdoor space. 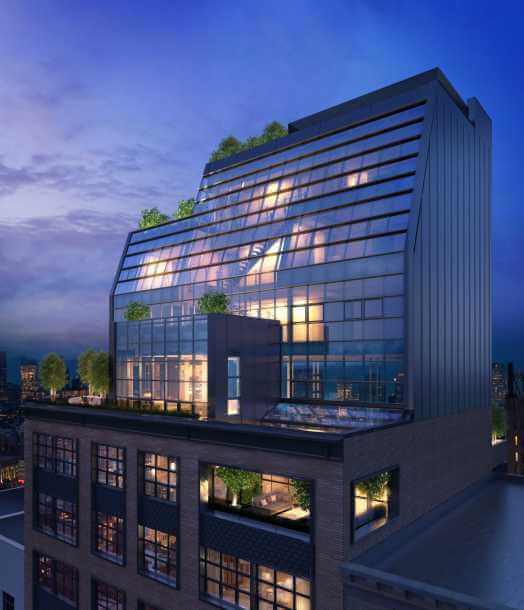 Building amenities include a doorman, gym and bike storage. The CetraRuddy-designed building has eight residences. It was developed by Continental Properties and DHA Capital — on the site of a former 45,000-square-foot parking garage.